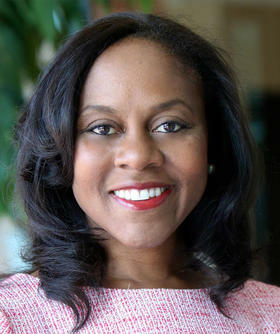 Incoming PBA President and CEO Wonya Lucas is a Georgia Tech graduate with a Master of Business Administration from The Wharton School of the University of Pennsylvania. At a time when journalists and publications are under scrutiny over truthful reporting, Public Broadcasting Atlanta’s incoming President and CEO Wonya Lucas says maintaining a trusting relationship with the public is one of the most crucial aspects of journalism in an ever-changing media landscape. “The role of public media versus commercial media is to really serve the public and the community at large,” Lucas said. Lucas served as executive vice president and chief operating officer for Discovery Channel and Science Channel. She was the executive vice president and general manager of The Weather Channel as well as the head of marketing for CNN and CNN.com. “I think we can communicate in a multi-platform way. One of the things I’m most interested in is developing an integrated cross-platform content,” she said. Lucas is a Georgia Tech graduate who holds a Master of Business Administration in finance and marketing from The Wharton School of the University of Pennsylvania. “Our mission in general is such that we are always going to strive to report in a truthful way and our relationship with our listeners, viewers and users is a strong one and a trustful one,” she said.